Shop Behringer Ultratone KXD12 Keyboard Amplifier from AMS with 0% Interest Payment Plans and Free Shipping. The amazingly-powerful ULTRATONE KXD12 excels as an extraordinarily-versatile keyboard and drum amplifier, as well as a high-quality 4-channel Public Address (PA) system, with a world-class, 12 inch TURBOSOUND Speaker in one compact and easy-to-transport package. Specializing in rich, accurate tone and professional features, such as a studio-grade KLARK TEKNIK Multi-FX Processor, true bi-amplifier design, and the FBQ Feedback Detection System, this 600-Watt workhorse will bring out the best in your instruments and vocals gig after gig. With its 600 ultra-clean Watts of digital output, delivered through separately-powered drivers via a true biamping mode with 2 amplifiers per speaker, the KXD12 delivers high-resolution sound that really brings out the best in your music. You will notice that most competitors apply simple passive crossovers, which not only inaccurately separate the frequency spectrum, but most importantly impact the drivers’ performance. BEHRINGER has gone the extra mile, driving each woofer and tweeter with a separate amplifier for absolute signal integrity. 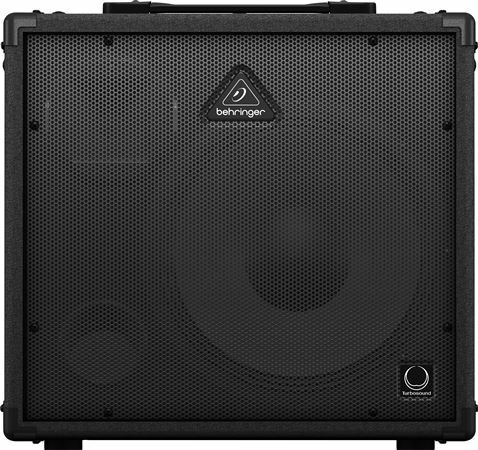 Thanks to revolutionary Class-D amplifier technology, Behringer is able to provide you with enormous power and incredible sonic performance in an easy-to-use, ultra-portable and lightweight package. Class-D amplification makes all the difference, offering the ultimate in energy efficiency and eliminating the need for heavy power supplies and massive heat sinks. This amazing technology makes it possible to design and build extremely-powerful products that are significantly lighter in weight than their traditional counterparts, while using less energy and protecting the environment. With 12 dB of available boost or cut per band (that’s a lot! ), the KXD12’s seven frequency bands have been carefully optimized to provide the ultimate tools for EQ'ing your keyboards and vocals. The entire audio spectrum from below 63 Hz to above 16 kHz is covered, allowing you to fine-tune specific frequencies to help you sculpt the perfect sound. Special attention has been paid to the critical midrange frequencies, which can make or break your tone. For more than 20 years, BEHRINGER has designed and manufactured some of the most successful FBQ Feedback Elimination processors. Now you can own and enjoy the benefits of this technology, with the revolutionary FBQ Feedback Detection System in this product, so your sound system is completely feedback-free, allowing you to focus on your performance. Utilizing an ultra-fast feedback detection system, this ingenious circuitry helps you recognize and tame feedback frequencies immediately. When feedback is sensed in a specific frequency range, the LED on the associated EQ fader illuminates, showing you at a glance which fader to lower to overcome the feedback. That simple! 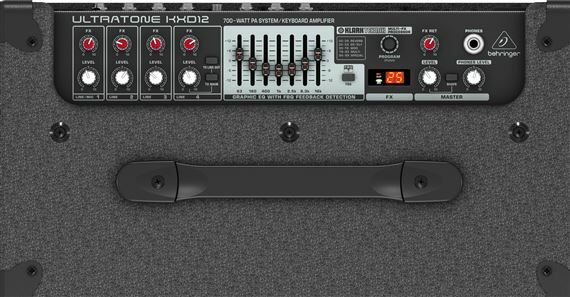 The KXD12 gives you 4 independent stereo channels, each with separate Volume and FX Send controls, plus an additional XLR mic input on Channel 1 for the direct connection of a dynamic microphone. So, if you’re the kind of keyboardist or drummer with multiple instruments at your disposal, the KXD12 is ready to handle up to 4 independent signals. It is also ideal for use as an all-in-one solution for keys and vocal applications. The Master Section provides separate controls for FX Return, Master Volume and Phones. A stereo Aux Input allows you to play recorded music through the KXD12 during performance breaks, or just for playing along. A separate headphone output is perfect for quiet practicing. The KXD12 also features an integrated 35 mm pole socket for stand mounting; a balanced stereo XLR DI output with Ground Lift, for direct recording or connecting to an existing PA system. The Link Output allows you to add a second KXD12 with a single mic cable, creating a versatile 1400-Watt portable stereo PA system. Versatility, incredible sound and durability all come together beautifully in this lightweight, powerful Keyboard/Drum Amplifier and PA System package. Armed with a massive 600-Watt power amp, concert-grade 12 inch TURBOSOUND Speaker, studio-grade KLARK TEKNIK Multi-FX processor and a 7-band graphic EQ with our FBQ Feedback Detection System, the ULTRATONE KXD12 will unlock your full potential. This is the real deal. The power and tone clarity blew me away. This amp is a PA, Guitar, and Keyboard Amp. It stands alone and works even better with a matching speaker. The best keyboard amp that I have ever used. Multiple outputs on the rear allow for running a mic, connecting up to three keyboards, and running direct to a PA system. Killer EQ, very clean sound, and incredible bass and so many ways to customize your sound. Small and compact but very powerful, best amp for the money!! The is the perfect practice amp. I am bass player. I purchased this amp because I wanted multiple channels for practicing at home. My daughter sings, and this amp works great for the both of us. I have used it out a couple of times and it was perfect. Ams got it to me next day for free! This amp is a do all audio system and sounds great! I've used my keyboards, synthesizers, guitars, bass, and miced my sax through it and it performed loud and clear! First the Good: - Nice, crystal clear sound for all your pianos, organs and synths. I couldn't detect any distortion or hiss. 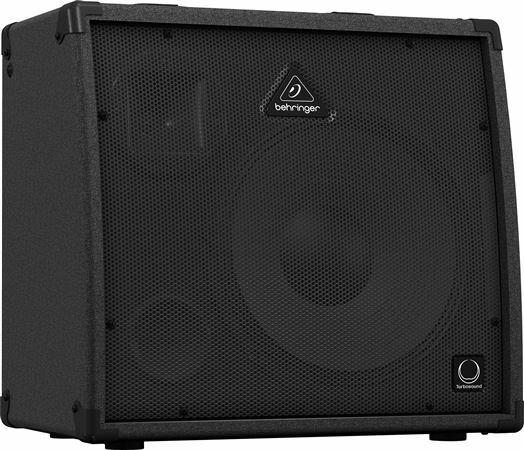 Would be perfect for smaller venues, or as a personal monitor for larger ones. - It's about 40 pounds, so it has heft without weighing a ton. - Plenty of controls to tailor your sound. The XLR outs are a super nice touch. Now the Bad: - It doesn't sound nearly as loud as 600 watts would lead you to believe, but it's loud. 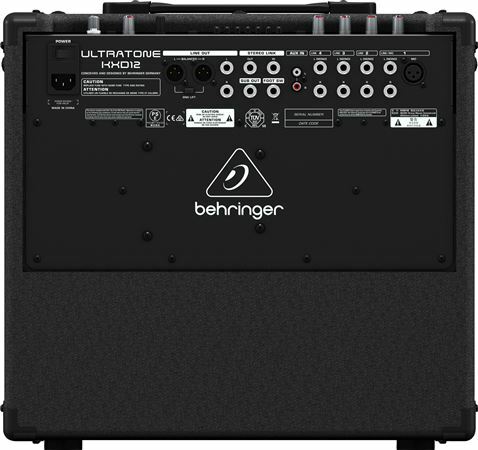 - It ships with a "Quick Start Guide", that refers you to behringer.com for the Full Manual, only .... there is no Full Manual! There is the quick start guide and a basic product info blurb. There is no detailed list of the included effects, just a generic 'map' on the amp itself of reverb, delay, modulation, etc, and no way to modify them. You just have to switch to each one and see if it suits you - what you hear is what you get. Conclusion: A good amp that's worth the asking price, but lacking in product documentation. I'm a drummer and with these days a lot is expected for as different sounds. I have a Roland 550 with issues, so I started looking for a replacement since I am using electronic percussion modules incorporated in my drumset. 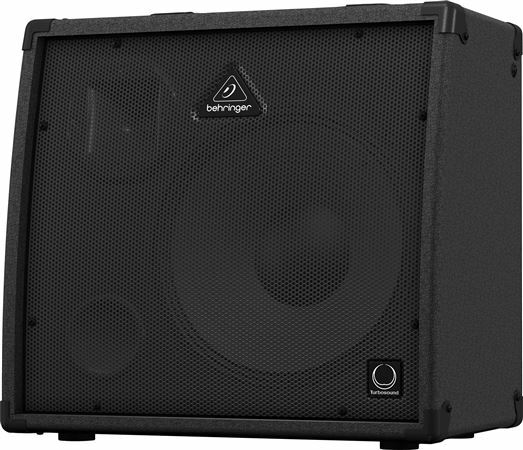 With amp right out of the box I used it the next gig without any problems. I will be upgrading to the 15 inch series next purchase.